Is Car Hauling the Best Truckers Job? 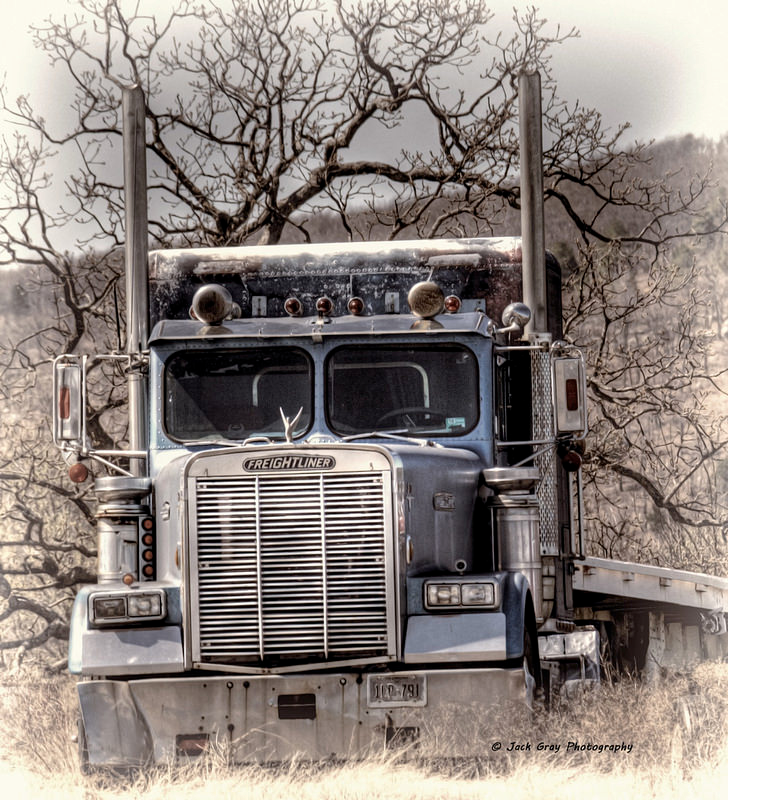 Years ago I was sitting in truck driving school in Lewiston, Idaho, listening to the instructors tell us the good and bad about trucking one of us had asked "what is the best paying truckers job" . I remember one instructor in particular standing up and telling us "You'll never get rich driving a truck." I never forgot that old timer nor my reaction to those words that he spoke. For some reason those words rubbed me the wrong way. It was like he was telling me not to aim too high or telling me what I could or could not do. Well I chose not to believe those words. I told myself I was going to search everywhere until I had found the best truckers job I could find. I wanted to figure out a way to get, "Wealthy" driving a truck. I think I stayed with that first outfit for about a year before I decided to head up north to Alaska. I ended up working in a salmon cannery for 7.50 per hour six am to eleven o'clock pm 7 days a week for the entire summer. At that time in Alaska there was a real shortage of jobs, including trucking jobs. After a summer sliming fish I was ready to start long haul trucking again. I didn't have much trouble finding a long haul job because I was now an experienced trucker. This company had shiny red trucks and paid a whopping 26 cents per mile. That was not great but it was better than the 22 cents I had been earning the previous winter. I found the euphoria from a job that didn't entail smelling like fish guts all the time did not last. This company paid more per mile but their benefits left a lot to be desired. I also found myself sitting in truck stops waiting to be dispatched quite often, instead of driving. Then one day on a Fourth of July weekend in the mid nineties, I was sitting at the flying J in Denver nursing a cold beverage when suddenly I heard a voice say, “Where you headed Driver?” I looked down the counter where a sun-burnt fellow with glasses was drinking a coffee. “Not heading anywhere,”I said. "I can't get hold of dispatch. Looks like I’m stuck here in Denver for the weekend." We struck up a conversation about trucking and I asked him what kind of driving he did. He told me, “I Haul Cars.” “I have a load headed down to the border. Just stopped in here to eat.” I had seen car haulers plenty of times but for some reason they just didn't register with me as “real truckers,” In my search for the best truckers job hauling cars had never been a type of trucking I had ever looked into. I immediately started peppering this stranger with questions about life as a car hauler. He kept me entertained telling me about hauling cars for the next couple hours . I asked him how hard it was to find a car hauling job after that. It's true. I think this is the biggest nightmare of all truck drivers is to hurt someone out on the highway. You will have damages to cars though. Your company should have a damage fund for when this happens. Many companies will give You a bonus or let You keep the damage fund, if You don't damage anything. Then I asked him if hauling cars paid anything. Bob thought for a minute and said “Well, I’m an owner operator now, but I think most company car haulers should make 60 grand a year pretty easy." Wow! I thought. Hauling cars may be the best truckers job I was looking for!! Back then that was good Cheddar. That was the late nineties. Now days, most car haulers that I know make 70k to over 100k and that is working as company drivers.” So I asked Bob for a few names and numbers of good car hauling outfits that I could call. It didn't take long in fact. The first number I called was an outfit right there in Denver, Colorado. Even though it was a Friday afternoon just before the Fourth of July weekend, they where open. I jumped into a Cab and headed over to fill out an application. I found out that this company was made up of 100% owner operators so if I wanted to work for them I would have to qualify with a DOT Physical and good driving record etc. But then I would have to convince one of their owner ops to give me a shot!! So It was less than a week later that I got a phone call from one of the "owner ops". He was looking for drivers and he was willing to train me. I Gave the dry van company I was currently working for notice that I was quitting and set up a time and place to meet my Co-Driver-Trainer. We met in Nevada close to the California border. Merle, was a great big guy with a handlebar mustache. He stood about 6 “5 He looked about as intimidating as a human can look. I'm no small human. Merle made me look normal . It turned out that Merle was the opposite of what you would expect. As kind a person as I have ever met. I remember remember being a slow learner. I needed all six months we were together to learn to haul cars properly. Even to this day I am still learning as well as making mistakes! I think that is one reason I like the job, it's challenging and I get exercise most days when I load and unload the truck. Under Merle’s instruction I didn't tear up too many cars and slowly learned the trade!! . My cut as a trainee was ten percent and Merle’s was fifteen. As a car hauler running solo usually you will work for 25 percent of the gross. Sometimes guys will make 30 percent but they are top notch drivers with lots of experience Some companies’ pay by the mile. Try to find a company that offers a 401k You'll be glad you did when you hit 59 and a half and can access it without penalty. Being a Car Hauler doesn’t take any special skill’s. It does take a bit of mental toughness though. You are outside in all kinds of weather and responsible for loading and unloading those cars onto your rig as well as keeping them from getting damaged. Sometimes you will be outdoors in freezing cold temperatures. I have unloaded in - 20 F weather more than once. When it gets that cold you may have to use a propane torch to unfreeze ramps also called “decks” that may stick. Sometimes you will find yourself working in Auto Auctions having to search acres and acres of asphalt for nine or ten cars. It may be 100+ degrees or it may be real cold and your cars might be covered with snow. Most times you can brush off the snow with your gloves. I remember one time I started loading in the afternoon as the sun went down and finished loading as the sun came up. The reason It took me so long to load that time, was that I was at the world’s biggest Auto Auction called; Manheim Auto Auction in Manheim Pa. I had to walk miles just to find my cars. As a Car Hauler you will get a lot more walking exercise than any other type of trucking that I am aware of. You need to posses good balance in order to be a car hauler and also should not be afraid of heights. I once had a trainee that just could not get over his fear of being up on top of a truck loading. When Loading and for that matter when on the road stay focused and stay patient. Don't get in a big hurry especially when driving. Safety is your number one goal. If You're looking for Truck Driving Schools here's a list of some I found state by state online. I can't vouch for any of them. But it's a place to start.